February 4th, 2019: Atomos is delighted to announce that as soon as it ships, the new Panasonic LUMIX S1 full-frame mirrorless camera will immediately be able to record 4k (3840×2160) 10-bit 422 HDR footage to the Atomos Ninja V and Inferno monitor/recorders. Recording over HDMI to one of these Atomos recorders will allow recording direct to Apple ProRes or Avid DNx codecs at up to 4kp30 in the HLG HDR format. HDR metadata passed over HDMI from the Panasonic LUMIX S1 to the Ninja V or Inferno allows the HLG signal to be correctly displayed, giving the users an instant and accurate HDR image they can expose and trust. The metadata triggers auto-setup of the Atomos recorders, and the same data is written into the ProRes or DNx file for instant playout to compatible HDR televisions and monitors, or upload to YouTube. Panasonic will also add 10-bit 422 HDMI output in V-Log gamma via a paid firmware update to the camera in the future. This version of the gamma curve will be the full V-Log, rather than the V-Log L variant found on the GH5 and GH5S. Atomos will record this and are working with Panasonic to fully support the additional options that the upcoming firmware will bring. 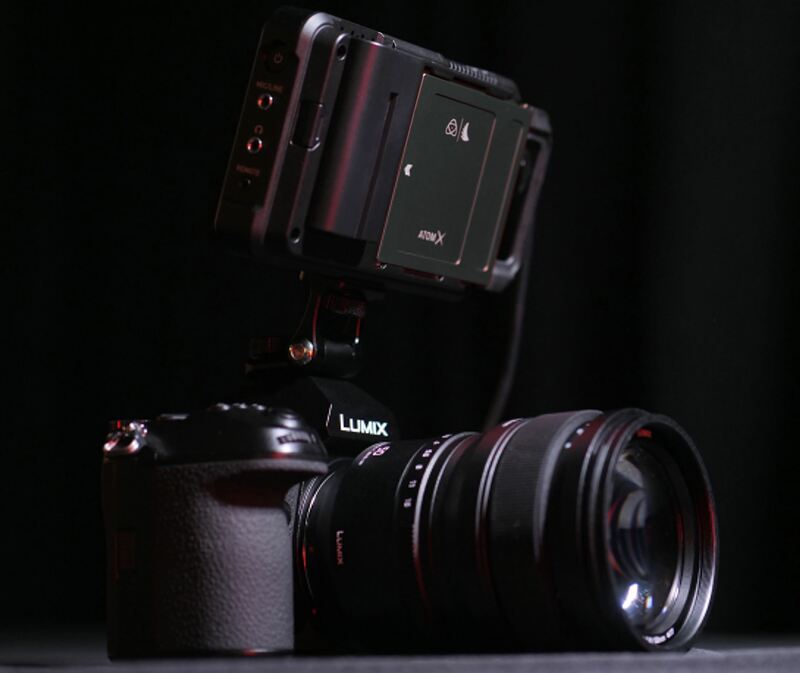 The Panasonic LUMIX S1 has an ergonomic body design that is perfectly partnered with the 5″ Atomos Ninja V HDR monitor/recorder. The Ninja V weighs 360g and sits perfectly on top of the camera. When the two are used together they balance well in the hand, forming an easy to operate camera setup that rivals some traditional cinema cameras.